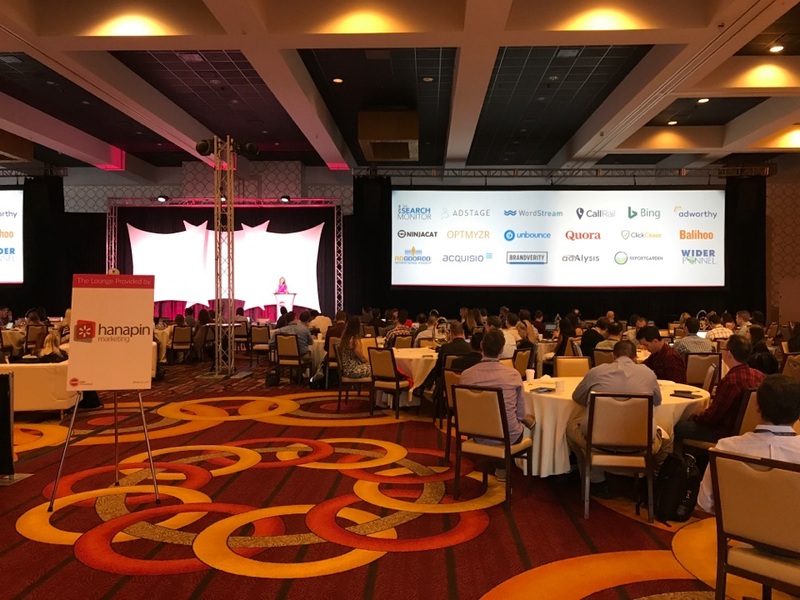 Last week, NinjaCat had the opportunity to hang out at Hanapin Marketing’s HeroConf 2017. Wow, was it a blast! We met so many people and experienced some great fire side chats. It truly is a great event to be a part of, can't wait for next year. On showcase at the NinjaCat dojo was our brand new Shinobi release. 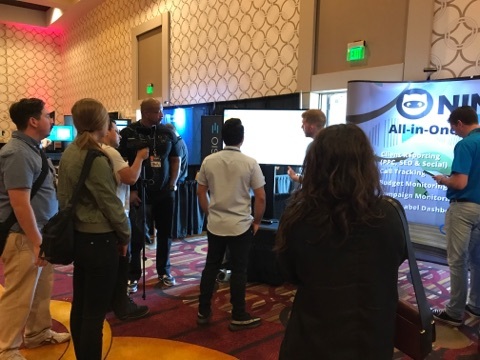 Unless you had sat down with us during a demo call or one of our webinars, this was the first time Shinobi was openly showed off to the public. As you can see, they were lining up to get a first glimpse of the Shinobi release. It feels great to work so hard on something and finally show it off! 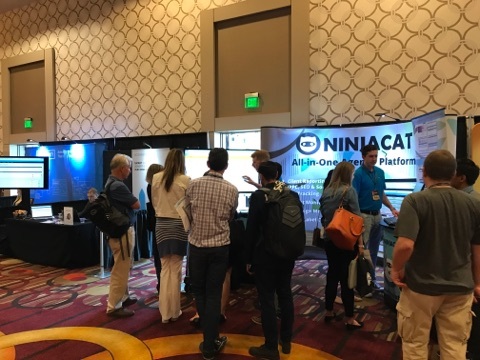 Our new version of the NinjaCat platform amazed some of our biggest fans and sparked intense interest in people who were new to NinjaCat. It definitely kept our booth packed with interested and interesting people. 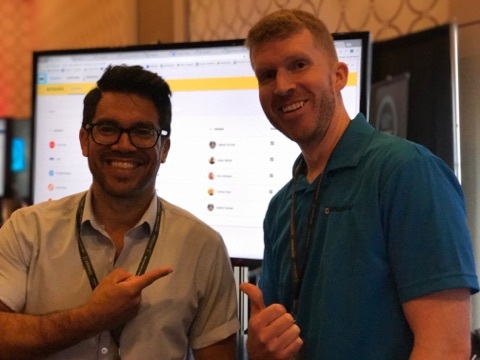 One such interesting and notable person was Tai Lopez, investor, entrepreneur and author. Tai stopped by the booth with NinjaCat’s Paul Deraval to check out Shinobi. Unfortunately, Tai didn’t invite us to his garage. :( Maybe next time. 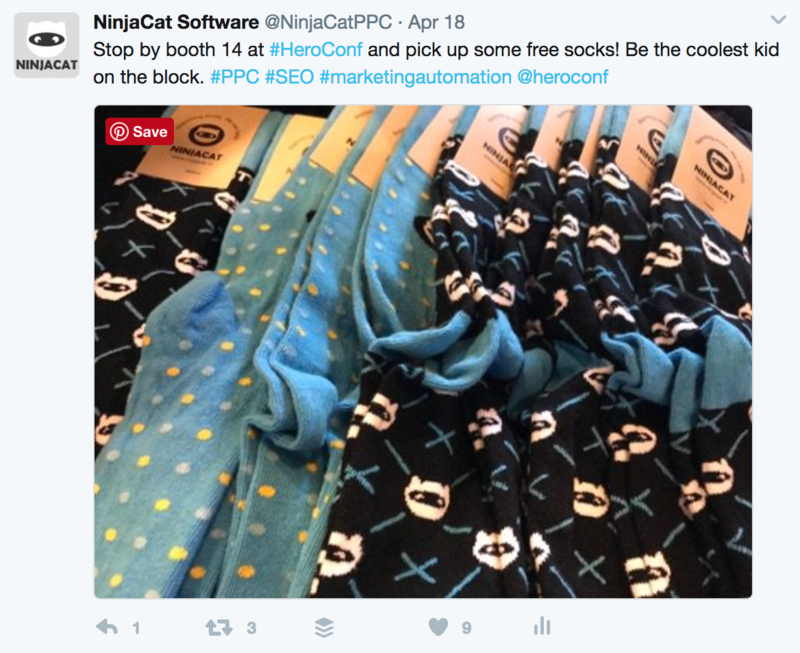 Also at HeroConf 2017, we were giving away some of our highly sought after NinjaCat socks. Did you get your NinjaCat socks? These went FAST! If you came by the booth when we were out of socks please visit our Demo Page and ask for a pair when you get on the phone with our team members. If you have a pair of socks, show them off! Post a picture to our Facebook page or our Twitter page. 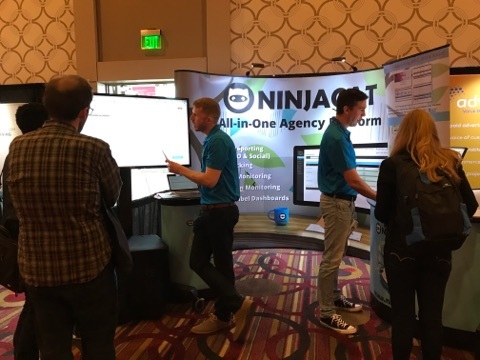 At the wrap of HeroConf 2017 in LA we were ecstatic to hear the excellent feedback concerning our new Platform. 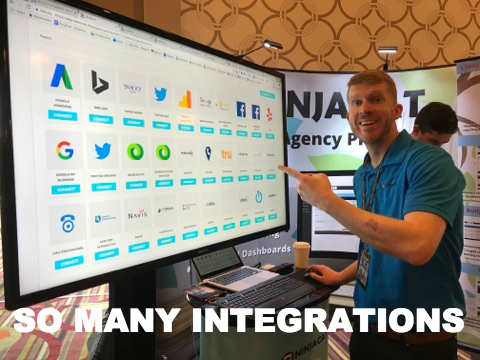 We put many months of hard work into creating a platform that agencies and brands would love and that would help grow your business, with Shinobi we think we accomplished just that. Thanks to everyone who stopped by the booth to chat with us and if you didn’t get a chance to see Shinobi, please check it out here, Demo Page. See you next year.